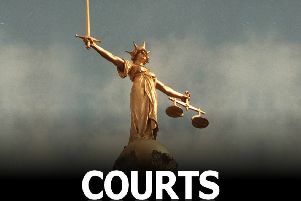 A 29-year-old man was due to appear in court today charged with five counts of theft from supermarkets in Melton. Scott Anderson was remanded to Leicester Magistrates’ Court to face the charges. He is accused of stealing from Sainsbury’s, in Nottingham Road, on September 22, 29 and 30, and also on October 3. Anderson is also charged with theft from Tesco, on Thorpe Road, on Wednesday of this week.